Chasmanthium latifolium is an ornamental grass with soft seed heads that turns purplish brown in the summer. 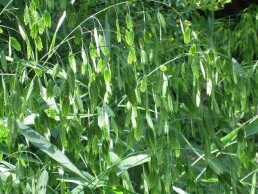 It is one of the most shade tolerant grasses. Plants spread through rhizomes and foliage should be retained through the winter to protect the plant. Chasmanthium latifolim is a larvae host to caterpillars of northern pearly eyed butterflies, and skippers. 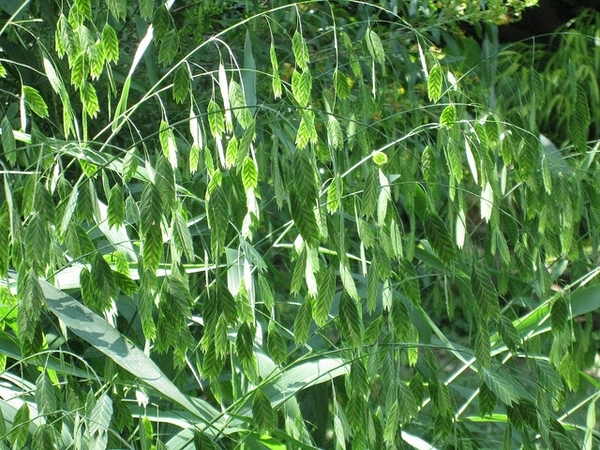 Birds also use the grass as cover and feed on seeds from the plant.